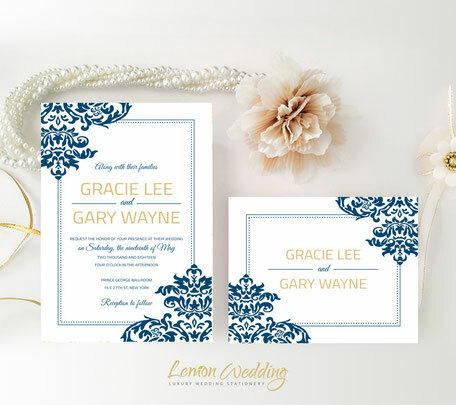 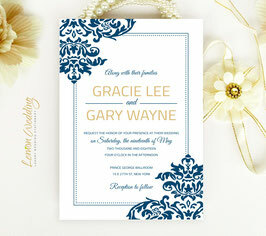 Make your wedding announcement as elegant as your upcoming nuptials guests with our Navy and Gold Wedding Invitations. 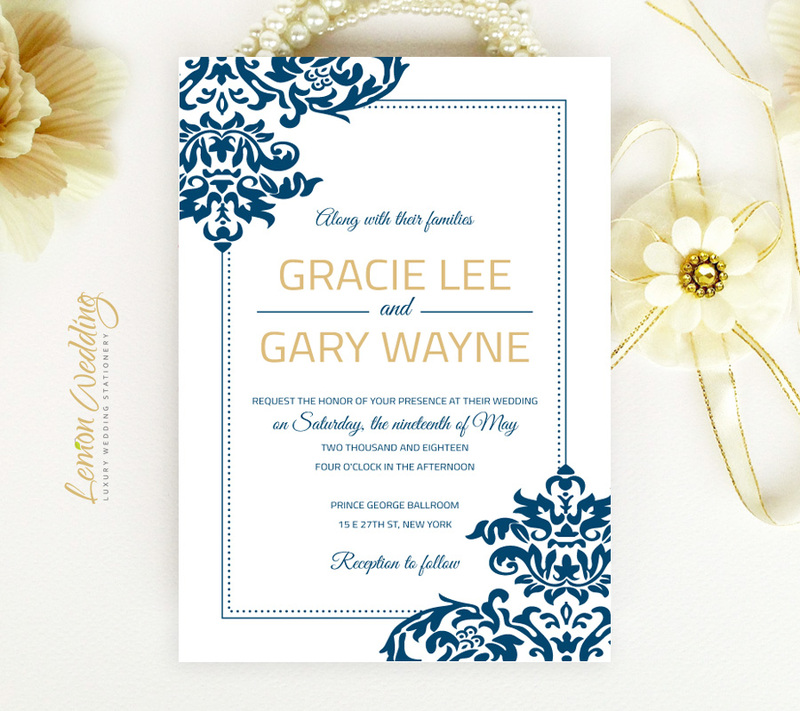 Our wedding invitations are finished with a luxe gold and navy design to truly match a glamourous affair. 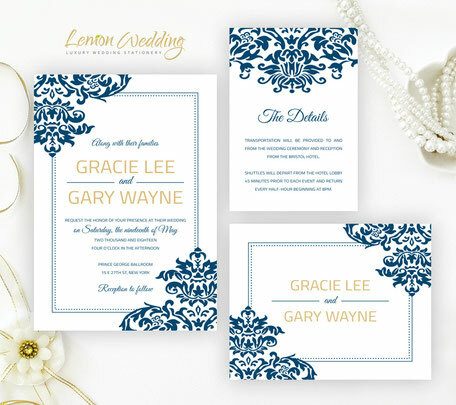 Printed on premium card stock, our wedding invites feature an ornate navy border finished with sparkling gold stars and navy font.